Gummy smile treatment is a common procedure at our Sydney clinic. Gummy smile is a very common problem where on smiling, a large area of gum can be seen above the upper teeth. Sometimes gummy smiles are genetic, and will run in a family. Small injections with a very fine needle are used to relax the muscles to bring the upper lip down to resolve the excessive gum display. Is there a genetic component? ie are there others in the family who have a gummy smile? Has the patient had treatment before? Were they happy every time? Did the effect of the muscle relaxing injections last well? Which area came back first? How many mm of gum display would the patient like resolved.. Does the patient want a more natural appearance, or do they want the maximal effect possible? Whether there is an asymmetry, measuring the length of the philtrum. The doctor will assess the gummy smile and decide on the best dose after taking a history and examining the patient. In particular discussing with the patient how many mm of reduction of excessive gum display would the patient want. If there is excess of 6 mm, then that level of treatment can cause a speech impediment. It is very important to assess the philtrum, as some patients may look older with treatment for gummy smile, so may be unsuitable. Your doctor can discuss this with you after your assessment. Ice maybe used to decrease pain and to reduce the risk of bruising. What happens during the gummy smile treatment itself? The mouth, upper lip and nose area will be cleaned with alcohol. The doctor will inject approximately 3 sites. Then pressure with gauze will be applied. The procedure itself takes less than 5 minutes. In general, treatment of the gummy smile is low risk. Asymmetry: One side may be better treated than the other, this is usually because the patient is asymmetrical to start with. In some patients they have a stronger muscle on one side compared to the other. There is a low risk of the speech being affected, also the patient may have difficulty with smoking, drinking through a straw or eating if too high a dose is used. Who is unsuitable for treatment of gummy smile with muscle relaxing injections? 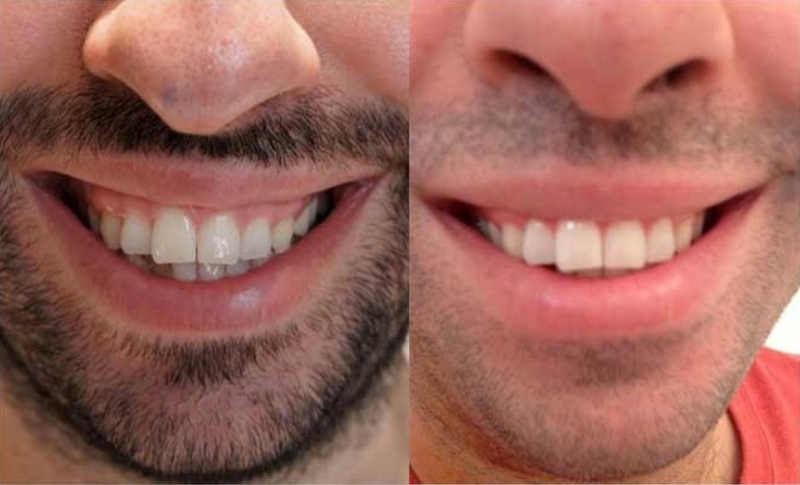 Most people with a gummy smile are suitable for this treatment.If a patient has a long distance between their nose and upper lip ie a long cutaneous lip, then gummy smile treatment may not be suitable for them aesthetically, as the appearance may become less attractive due to the area lengthening. What to expect after gummy smile treatment? The effect of the injections will not start to occur for 2-8 days. The maximal effect of the drug will be at 3-4 weeks, so a review should be booked for 3 weeks. If at that time, further treatment is necessary, it should be performed. What if I get asymmetry at some time before the 3 week point? Do I call the doctor? What do I do if at 4 weeks post treatment one side is better treated than the other? This is not uncommon, at your 4 week review appointment, further treatment may be administered. at 16 weeks 80% of movement should be back. For most patients, this is very close to what occurs. When should I have my next treatment for muscle relaxing injections in gummy smile? Cost of gummy smile treatment? Cost starts from $320, it will cost less if combining with treatment of other areas. Please see our current antiwrinkle injection pricing.